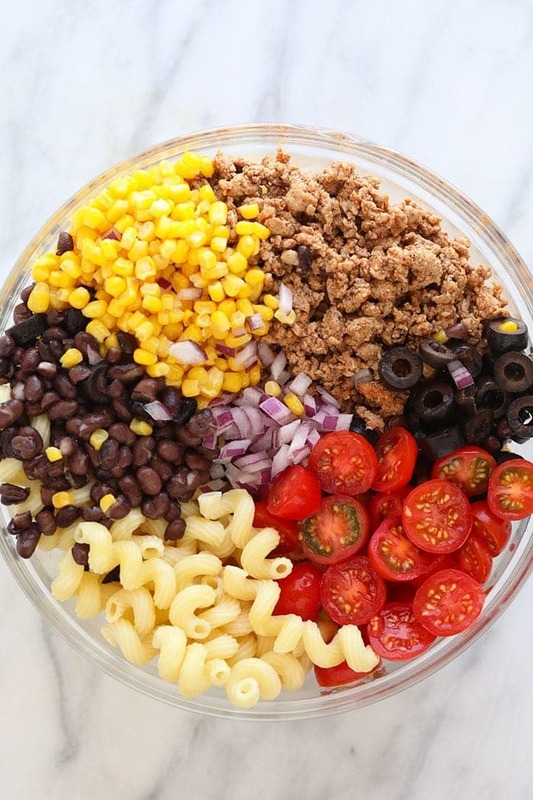 What happens when you merge taco salad and pasta salad?! 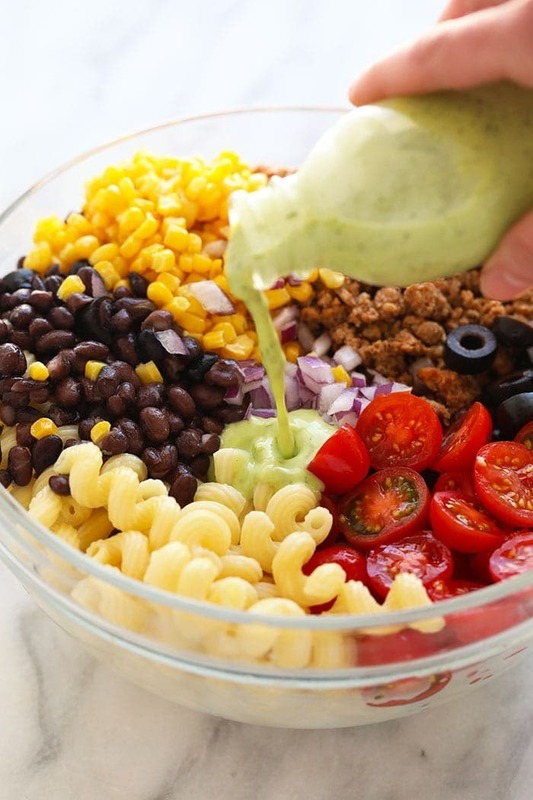 You get an epic taco pasta salad. Good news, though! 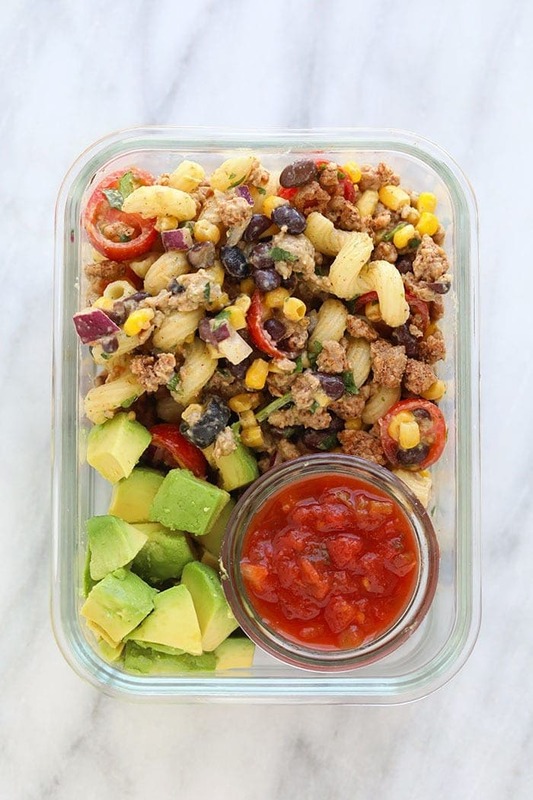 This is a healthy taco pasta salad that doesn’t sacrifice flavor one bit. 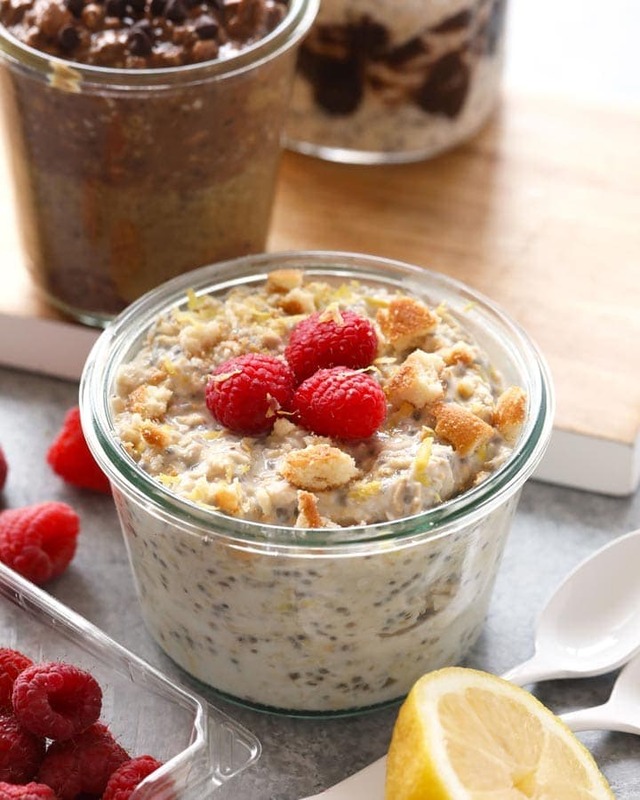 The day we tested this recipe in the Fit Foodie kitchen, my tastebuds went wild. 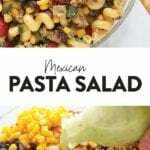 I love love love this Mexican pasta salad recipe because it’s one delicious balanced meal. 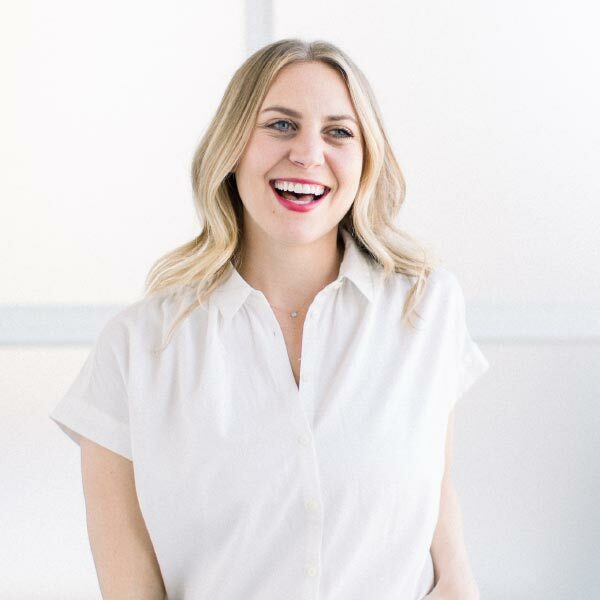 You’ve got your carbs, protein, fiber, veggies, AND healthy fats. 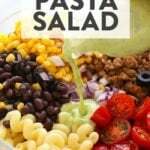 That’s right, instead of making your classic side pasta salad, we turned this pasta salad into a main meal! 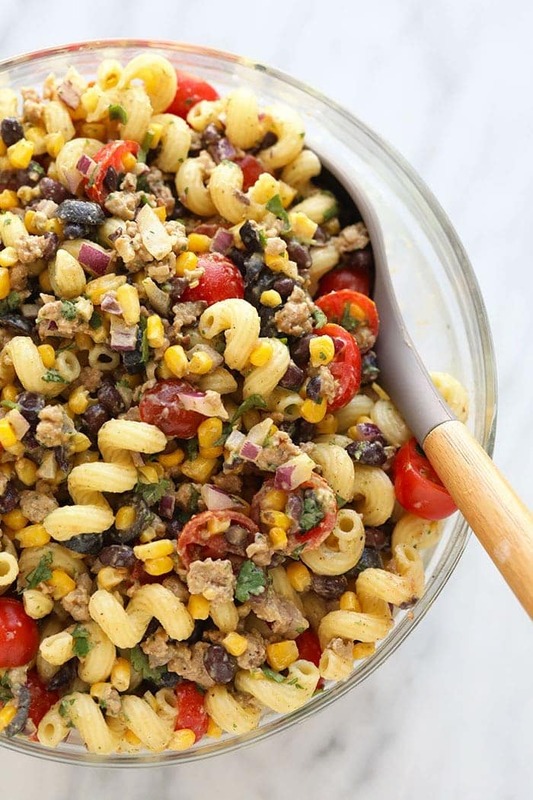 Meat: This wouldn’t be a “taco” pasta salad without ground taco meat! 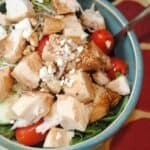 We chose to use ground turkey, but good news! You can use any ground meat you want such as chicken or beef. Veggies: Gimme all the taco veggies. We are using classic taco veggies such as corn, olives, black beans, and tomatoes to really amp up the nutrition of this recipe. As always, feel free to add or sub as you wish. 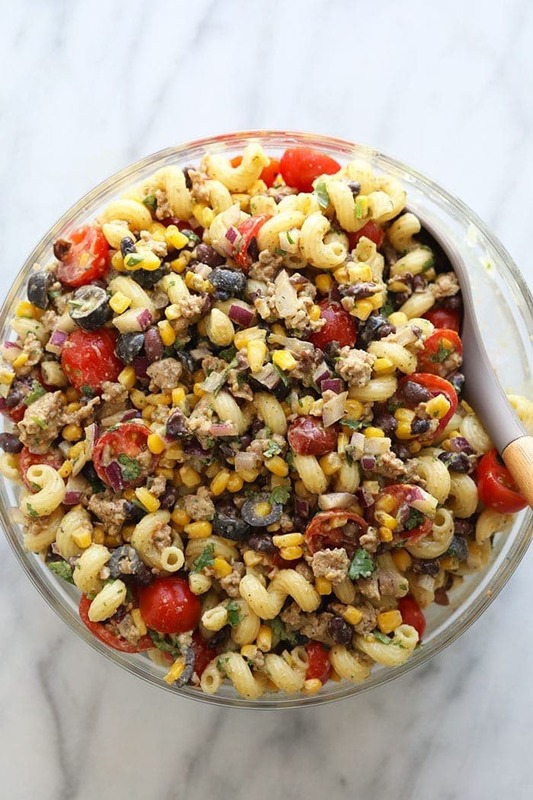 Pasta: The great thing about pasta salad, is that you can use any kind of noodle you wish (white, whole wheat, gluten-free, etc.)! Just make sure you use around 12 oz. so that the ratios stay the same. 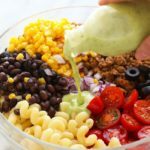 Dressing: We’ve been a little obsessed with our cilantro lime dressing and we actually used 2 whole recipes worth in this pasta salad. 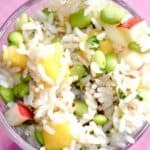 Seriously obsessed with how colorful this recipe is! I mentioned above that this can be eaten as a main meal, but it can also be eaten as a side. 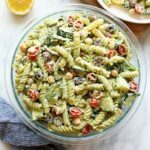 Since it serves so many, it makes for the perfect pasta salad recipe to bring to a party to share. Secondly, we tested this recipe eaten both warm and cold. Guys, it’s delicious both ways and we just can’t choose! 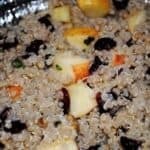 This recipe will last anywhere from 3-5 days in an airtight container in the refrigerator. If you scroll all the way down, you’ll find some meal prep inspiration. 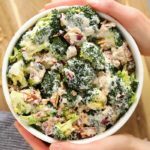 That little meal prep container is exactly what we ate the week we made this! So tasty served next to fresh avocado and a little bit of salsa! Double the recipe for our Creamy Cilantro Lime Dressing. You should get around 2 cups of dressing. Begin by bringing a large pot of water to a boil and add pasta. Cook until pasta is al dente. Then, strain water and set aside. Next, heat olive oil in a large skillet over medium/high heat. When olive oil is fragrant, add ground turkey, cumin, garlic, chipotle, chili powder, and hot sauce. Mix well and cook for 5-10 minutes or until turkey is fully cooked. Remove from heat and let cool. Add cooked noodles, turkey meat, and the rest of the taco salad ingredients to a large bowl and mix well. Next, pour on 2 cups of homemade Creamy Cilantro Lime Dressing and toss with pasta salad. Make sure all ingredients are coated with dressing. Enjoy chilled and top with optional topping ingredients. 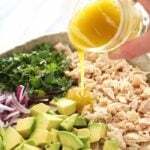 Nutrition Information is for 8 people and includes creamy cilantro lime dressing. Storage: will last in the fridge for up to 3 days.